Avery, you have stolen my heart. I have two kiddos, one 28 months, one 4.5 months, almost your age! I had never heard of SMA until your blog and am so grateful for my healthy kids and what you're doing to inform the world. I've shared your start on Facebook and my blog (only 7 people read it, so not a huge deal there) and hope it helps. Keep smiling, keep fighting and know that there's a family of 4 in Colorado that sends you hugs, kisses and prayers each day. You and your mommy and daddy are truely inspiring! I signed up for a 5K to benfit one of your friends with SMA who lives in my town in NJ. God Bless. Avery (what a beautiful, beautiful name). I feel that you are a very lucky girl to have been delivered to such caring and loving parents. I had never heard of your disease, but will surely be thinking of you and following your bucket list as I learn more about SMA. Best Wishes to you and your family; I am sure that you will have many delightful experiences in your future. Am I allowed to say I love you? Just a year ago I heard of SMA for the first time. See, I am a pre-medical student. I hear of disease all the time. But my genetics book was wrong. Tests aren't given for this. They are available, yes. I have learned that much from you. I never realized that this disease can be prevented, if only it was known. Little Avery, stumbling upon this blog has inspired me. Yes, I share your story. Yes, I'll email Ellen. I'd email the president if I could (maybe I could try?). But you have done more than that little Avery. I've always wanted to be a neonatologist. I'm sure you have met plenty of those. But see, I want a PhD too. I just never knew what I wanted to study. And now I know. When I have my PhD, I want to study SMA. I want to cure it. Miss Avery, this is my promise to you. I will study hard. I will study long. I will try, by God's grace and mercy, to help your friends. You inspire me to make a difference. And someday, beautiful girl, I will. The story of Avery brought tears to my eyes, but then Kristin, to read your post was my break down now Im gushing tears, it was so sweat,thought full and hear felt. I pray you find the cure Kristen, cause this is so heartbreaking for all these babies & there families. Good luck in your studies Kristen & I pray you find the cure. And to Avery God Bless You & your family, you have the most beautiful eyes and that little smile of yours is amazing. stay strong my little angel. That's beautiful Kristin. Best of Luck in your studies. I will be making a donation to fight SMA and to help you make a difference! I think you and you're Mom and Dad are wonderful! I have a little boy who has struggled and faced too many challenges than one should have to in his short life. You give me strength and courage and hope. Avery, I will continue to spread the word! You are making a huge difference and are increasing awareness! There is no greater joy in the world than when your child smiles at you. My little girl just started really smiling 2 weeks ago and I love when I pick her up in the morning and she is just smiling and cooing at me. You have a beautiful smile Avery and you inspire me each and everyday to live life to the fullest. Thank you for being my teacher. You & your parents are all beautiful souls. Their strength is truly inspiring, I wish you all much love, peace & prayers. I commend you both as people and parents for being so strong. I cant imagine how I would handle the situation you both are in. Avery is so precious and lucky to have parents as wonderful and strong as you. I shed a tear of joy as I read Avery's story on Yahoo. Great people still exist. How lucky you are, even for a short time! You are a treasure! Little Miss Avery, you are a gift from God and will touch so many peoples hearts for years to come. My heart hurts for your parents as they see you having to face such a hardship. May God give your little heart and soul the strength to carry on as many days as possible so your parents can hold your little hands just one more time. Your life and your parents love and dedication have just changed the world and have set the standard high for the medical world, all in your precious name. You have raised the standard because of your life. You will be celebrated by many for years to come. I will not forget your name and i will remember you and your parents in my prayers. May God give you strength and courage as you face this rugged road. Hmmm, maybe Avery hasn't told you this but she'd really like another grandma, preferably one that lives in Wimberley (since it's almost all Houston area folks here anyway). I cannot begin to express how in awe I am of the two of you. I know what it's like to have a child with special needs and I know what it's like to say goodbye. You are doing such a wonderful thing to provide Miss Avery with as normal a life as is humanly possible (and an extraordinary one at that!). I will spread the word about SMA although, Avery does such a great job and wearing a big bow...it just doesn't have the same effect at my age. Prayers and warm wishes for your family. I will continue to read along as Avery kicks that list. Hmmmmm, she just HAS to add going to INOZ in Wimberley and feeding the ducks at the creek. Take care and God Bless. Hi, this is for Avery's mom and dad. I am a professional sculptor and ceramist. I specialize in doing hand and footprint plaques for family members who are diagnosed with incurable, fatal diseases. I invented a Prints By Mail Kit, so that you can take her prints (and mom and dad and whoever else) now, and then you send them to me and I can make all kinds of beautiful keepsakes for you. I just did a beautiful 8 yr old with her family who passed on Monday, and I did a quad print plaque of a baby born with microencephaly, who passed 9 hours after birth. My website is http://www.etsy.com/shop/handprintlady for the Prints By Mail Kit and my blog with a photojournal is http://www.handprintlady.blogspot.com . Feel free to email me at handprintlady@hotmail.com Best Wishes! Wish there'd be a way to make her live longer! this kind of disease shouldn't happen to such an adorable sweet tiny baby. I am a mother of a two months old baby and if I were in the same situation I couldn't live strong like you. Saw your blog on Yahoo's front page and decided to check it out. You're a beautiful little girl and you have wonderful, loving parents. I wish all three of you the best. Thank you for giving me the opportunity to learn about SMA. My cousin lost his battle to MD back in November 2010, but he was so fortunate in that he had 18 years of life. Little Avery along with mom and dad, you are true inspirations. I will be following along your wonderful journey and will definitely be contacting Ellen on May 1st. Hello Avery! I just wanted to come and meet a most beautiful girl. It seems as though you have captured the hearts of many and that is certainly a wonderful blessing. My daughter Abbi is 7 and she wants you to know she is thinking of you and is sending you big hugs! Tell your mommy and daddy that you are all in our prayers. Keep waking up smiling sweetie! Hugs! You dear and beautiful baby, you are too young to have to have learned the lesson that life must be lived to its fullest because we never know how long we have. Enjoy every day and always go for the gold. My prayers and thoughts will be with you everyday. PLEASE PLEASE PLEASE TRY THIS!!!!! A human being has a frequency of 66mhz. When the frequency lowers, by pollution, depression, negativity, we enter the frequency ranges of illness and dis-ease. A Rose has a frequency of 320mhz, 5x more then a human. By adding a high frequency to a low frequency, the low frequency actually raises. Please buy some Rose Oil, some pure all natural, it is expensive, buy Avery some Rose Oil, and massage it into her feet. The Rose Oil will begin repairing her DNA within 21 minutes. Now i am no doctor, but i have done my scientific and spiritual research and i am already in love with this child and want to see her survive this. Please, at least try the Rose Oil experiment. You have nothing to lose, and everything to gain. Buy Rose Oil and massage it into this girl's feet. Feeding her Blue-Green Algae might also help. Consciousness controls DNA, and consciousness is thoughts and feelings. Everything is made of light and darkness. Avery is losing light i believe, and needs light added into her. Please please try the Rose Oil. The say frequencies of plants are so high, that bacteria and virus can't even exist. Please, this could change the world. Love You. Hello sweet Avery!!! I have been sincerely touched by your courage story. Your sweet smile brings tears to my eyes. I am a firm believer that we can do anything as long as we trust our Savior. And I believe you and your mommy and daddy are doing just that by speaking out about SMA. Your mommy and daddy have been truly blessed with one of God's most precious, precious children...YOU <3 Enjoy every moment sweet angel and remind daddy that EVERY lady..big or small.. has to have her FIRST dance with her daddy!! I want a lick of the lollipop too! Little friend, you are on Yahoo news, and look at your counter!.... This is awesome, you are become a hero of many more people. Thank you so much little friend, you are really something else. I cam back to work, and I found a coworker in tears reading your blog. I've told him about your story, but he didn't go into it until today. But you are awesome, and extremely lucky to have those awesome parents. Keep it up my little friend. Dear Avery, Please tell your mama and daddy not to give up hope and don't you give up either. I have 2 nieces with this insidious disease and both are now teenagers! I also believe in miracles and am praying for one for you. Hey I'm new to your blog. Can you help me understand the importance of the testing? How does that help prevent the disease? The only thing I can seem to find on the internet in regards to prevention is that the parents don't have kids if they know they are carriers or the child is aborted if its tested for during pregnancy?? There must be something else because surely you aren't suggesting those options as "preventing the disease". I'm just confused, hopefully this doesn't come across as rude. I refused all genetic testing during my pregnancy because I would still love my child and be happy that I had given them life even if something was wrong with them and there is no prevention once you are already pregnant. So, I didn't know if this testing was different in that knowing would actually prevent it somehow, and not just by preventing life. You're correct. The only way testing helps to prevent the disease is being aware if both parents are carriers for SMA gene, then they have a 25% change of having an affected child every time they conceive, and also a 50% chance that their children would be a carrier (not affected). Unfortunately, due to the lack of treatment for SMA, this is the only means of prevention. Sweet Avery, you are so precious! And how cool are your mom and dad?! I just wanted you to know that I am going to be praying for you and your awesome parents every day. Jesus' arms are big enough for all of you at once! Much love to each of you! I just found your site and am typing through tears. 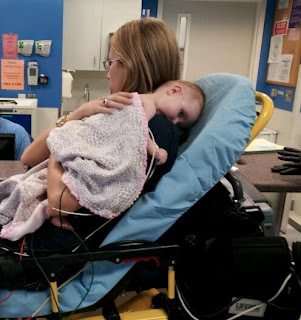 I lost one of my daughters as an infant to what we now think was a mitochondrial disorder and her sister is in the process of being diagnosed as well. We are hoping her form will not be degenerative and she will live a long full life but your story and the way you are living each day fully and sharing it with so many is inspiring. Our lives were changed forever when we lost our daughter but she truly gave us the gift of knowing just how precious every single moment is. I'm glad your daughter has given that gift to you as well. Sending you so much strength. I'm a soon to be father of a baby girl. I cannot tell you how much your story touched me deep down in my heart. I'm a big softy, so your heartfelt message made me weep. I will be praying for you and for your parents. I hope that my daughter has the same amount of confidence in the face of adversity as you do. Thank you for sharing. I hope you finish as much of your list as possible!!! Avery you and your family are beautiful. Beautiful because you are sharing your story to thousands, maybe millions, of people who will learn about SMA as they fall in love with you. You may want to add a line to your bucket list "Make 1 million friends" because I truly believe you will quickly achieve that one. Thanks for your blog. I am a blogger. I have never heard of SMA, but because of you I know what it is and can share it with my friends and family. You have an awesome mom and dad! The mark you are going to leave on this world is one that will be priceless. I have copied your letter to send to the Ellen show on Tuesday. I am a faithful Ellen watcher and fan of hers. Praying for you and your family! Keep smiling beautiful girl! I have an almost 7 month old daughter. I learned about Avery on Facebook and wanted to let you know I donated $50 in her name through FightSMA. While I'm sad to learn about Avery's condition, I'm touched that you've chosen to allow Avery to affect the world in a positive way through raising awareness of SMA. What a brave and wonderful little girl you have! Keep on going little one!!! <3 LOVE FROM RAPID CITY,SD!!! I'm a new GFC follower, just heard about your blog. Avery, you are a gorgeous girl!! Praying for you. I just found out about your blog tonight. I first heard about SMA because my neighbors 4 month old son died from SMA. Thank you for raising awareness. I know someone who suffers from SMA. Doctors told parents that wouldn't live past 18 months. Now 8 years old. On a ventilator but is able to read and perform math on grade level in a general education classroom!!! Fully accepted by all the students in our school. They are very protective!While things are done differently, the point is...they are being done! Continue to be thankful for every day and celebrate every new experience, and remember there is hope!! Thanks for sharing and being such an inspiration. Keep on smiling cute little girl. wishing you nothing but peace, happiness and strength. I just found your blog off of pinterest! What a sweet sweet girl you have been blessed with! We have a family friend who's son has been diagnosed with SMA. He recently celebrated his 11th birthday!!! Praying that you get to celebrate many birthdays, whether it be each month;s birthday or milestone years! Sweet Miss Avery, you are such a cutie pie! 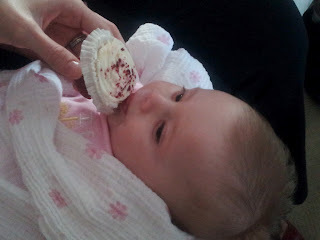 My baby girl is exactly one month older than you, born on 10/11/11...and her name is Avery, too! I think you two would be best buddies if we lived closer. But we live pretty far away in Atlanta, Georgia. We will keep up with your blog and follow all your adventures! We will pray for you every night, sweet girl. My 2 year old daughter, Kara Jo, says you need to go mud bogging. She loves it and it always makes her smile. She is inviting you to Central Florida where we live so her daddy and all our friends can take you for rides in the big mud trucks. What a wonderful idea. I have dealt with the death of two of my children and am so inspired by your wonderful attitude. You are an example to all who come across your story. Way to go little miss Avery! One thing I would add to your bucket list is go on a picnic. My two kids and I love to go have a picnics at the cemetery with their brothers. Pick your favorite park, a beach, or even your backyard and have a picnic! Keep up the good attitude. I am thinking of you and praying for you! Thanks for telling me about SMA! Avery, I discovered your story tonight and was inspired by the attitude your family has taken when faced with the worst possible news. You are living every moment of your life like it matters. Most people don't do that when they live to old age. What a blessing! Add "Run a Marathon" to your list, sweet girl, because when I run the New Jersey Marathon on May 6th, I will do it with a picture of you on my shirt and your name and disease to help bring awareness to others. You will cross the finish line with me and if your parents would like, I will mail you your finisher's medal. Please contact me at katieroscher@yahoo.com if you are interested in me sending Avery her medal. I would also like to help you with your fundraising efforts by asking my friends, family, and anyone else who is interested in contributing by having them mail a dollar per mile I run in a later race I run in October (26.2 miles = $26.20) to www.fightsma.org in Avery's name. God bless you and thank you for inspiring me. Should I ever face something as serious as you are facing, I hope to face it with the same frame of mind. What a beautiful baby girl. Praying for a miracle. I just discovered your story and I wanted to tell you this... I wouldn't consider myself deeply religious and I can't tell you the last time I prayed to God for help. But I just prayed as hard as I could for you Avery. You're beautiful and I have no doubt that you're going to accomplish more in your life (no matter the length) than most of us will ever achieve. I hope it's God's will to rescue you but regardless you're making an impact and changing people's lives. That's an incredible "check" on your list. What an inspiration little Avery is! We'll be sending lots of prayers and love from Cleveland, OH. And just for the record tehre are a bunch of bucket list items out here. While we don't currently have any large bodies of water on fire, we do have the Rock n Roll Hall of Fame, so if you ever decide to take Avery on a road trip, you'll know where to find us! I just had to say I saw your story on Yahoo and it really touched my heart. You are a beautiful little girl. I have my very own SMA Angel in heaven. He was 5 months old when he earned his wings 9 years ago on April 21st. He would have turned 10 years old in November. I also had never heard of SMA until he was diagnosed at a month old. I always promote awareness as much as I can. My Joey has an older brother who is 11 now. They would have been a pair at 22 months apart. :) His brother has Autism and Sensory Processing Disorder so I wonder if there is a neurological connection. I am in the process of writing a book about my little Angel and our journey after he earned his wings. So if your mom and dad ever want to visit my blog about my sons (Robbie's Corner) then I would love to share with them and just listen. I know how hard it is to not know much about a rare disorder and even 9 years ago there was even less information. Hello Avery, I just think you are so amazing and you have two very terrific parents. Haven't stop crying tears of joy. Your blog is now on the top of my daily reading list. Keep tacking that bucket list of yours. Prayers and kisses to you and your mommy and daddy. I am so thankful for you sharing this story. It ia not something any child or parents should ever have to deal with. I have a new granddaughter that is now 6 months old and I can not imagine what you must be dealing with. We will keep you in our prayers and thoughts. I have recently heard of your story through a friend of mine, I am praying for your little angel and hope that God allows her to complete everything on her Bucket List. On a positive note, your blog is featured on Yahoo's Top New when you you go to their webpage. It was the first story that came up when I checked my email. Don't worry beautiful, your story is out there and people are listening. I will definitely be asking my OB for that test when God decides to bless us with a baby. Keep on posting and I will keep on reading and sharing. Good Luck (br)Avery! My son has SMA type 1. Don't let the doctors predict how long your daughter is going to live. True, 80% of type 1's die before the age of two but they can not predict who and when each child is going to take that road. Because of proactive respiratory care, nutrition, physical therapy these kids are living longer healthier lives. There are some medication trials out there if you have not looked into yet. Our son has been in the Valproic Acid study since he was 6 months old when he was diagnosised. This drug plays a role in why he has beat the odds and was able to see his 4th birthday. There is a strong SMA community and we stick together. 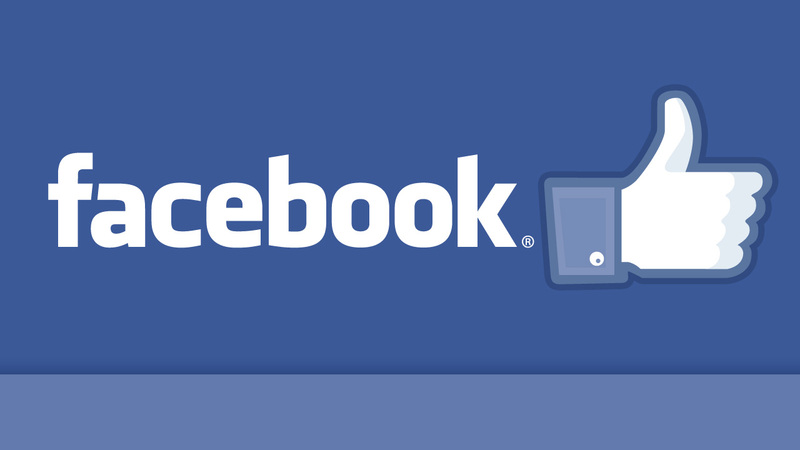 Once you befriend one SMA friend on facebook you are interlink to many more. I share with you Riley's journey on our blog www.extraordinaryogdens.blogspot.com We pray for Avery that she too can beat the odds. Don't give up...Fight SMA! Hi cutie! I made a $25 donation to www.fightsma.org in your name. 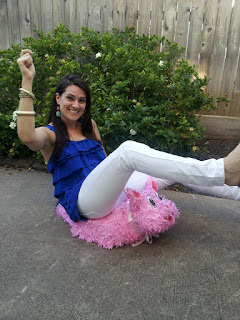 I love reading your blog and the cute pictures! I will be praying for you sweet little girl. 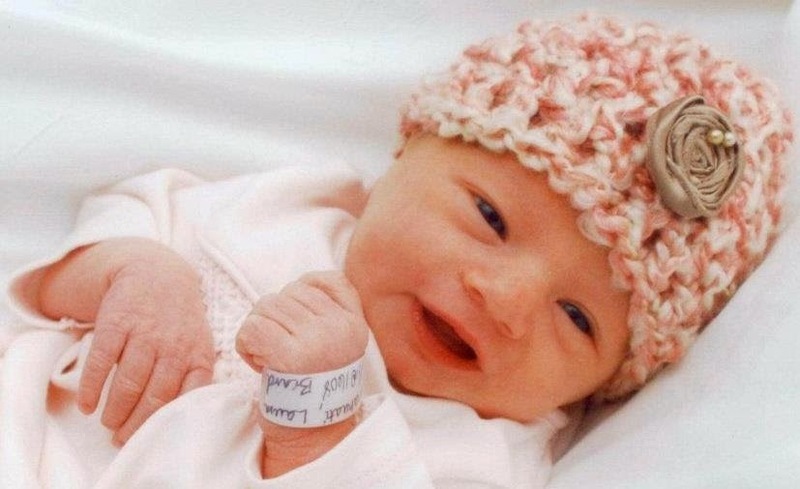 You are a beautiful girl and I am happy to have an opportunity to get to know you, thanks to your mommmy and daddy. I feel a special connection to you because you are going to be the second Avery that I have fallen in love with. The first was my husband and the father of our son. He has went to be with God. I feel so blessed to have found you. I will be checking on you everyday. Be sure to have the most fun you can and tell mommy and daddy I will say a prayer for all three of you. May God Bless You in Jesus name Amen. Hi my name is Ashley. I'm 17 years old and also have SMA. My parents were told that I wouldn't live past 2 and that they should start excepting that fact but here I am. I was first dignosed with type 1 but then got redignosed to type 2. I am extremely sorry about your daughter I know living with this disease is tough. I think what you're doing for her is so awesome. Hi there Avery darling, I'm Auntie Catlina from Malaysia... I found your blog from Yahoo News and I am falling in love with you the minute I saw ur picture...I have a baby girl that is about ur age(she was born on 6.12.11) ... we pray for your health and for a miracle that doctors and health experts can found a cure for ur disease.....and this is the first time I heard about SMA...thank you Avery and Avery's parent for this awareness.....love you darling!! What a beauty you are Avery! Keep knocking those things off the bucket list. I know of another family whose daughter also has SMA Type 1. She just celebrated her third birthday. Check out http://www.sophiascure.org/ The family has made incredible strides in fundraising and getting the word out. You are a beautiful family. God bless you all for making the best of this situation and loving that little girl so very much. I will definitely share your post. We were touched by your story as we are parents of a 9 month old boy. You are a beautiful baby girl and we hope you have a long, happy life. It seems like you have so far! We have made a $50 donation to FightSMA in your name. Good luck with your bucket list! We will keep you in our prayers. We're in Spring, TX and not so far away. I am moved by the life of your precious baby. God Bless You All Praying for your continued miracles! I cam across an article on YAHOO almost 2 hours ago that brought me to your blog and I have yet to leave it. I have 3 beautiful children Joshua 5 1/2 years, Avarie(same as you just spelt different and middle name is Jaylynn so half same middle name to!) Just turned 4 on 4/18 and Jamison is 2 1/2 years old. While your parents were going through trying to understand why this is happening to all of you and then turning it all into something special and great I was also trying to understand why something happened to my family. You see on 4/13/2012 I found out that I would miscarry my 11 1/2 pregnancy because I had a blighted ovum, this basically means I was pregnant with no baby if that makes any sense. I was heartbroken but in the end I knew it all happened for a reason. In the last two weeks I have been able to spread the word about what blighted ovum is and that has helped me with my loss. I have read every post on here and watched every movie and looked at every picture and you have AMAZING parents. They have been able to put their own sadness aside to make sure you have to most amazing life possible while they have you and at the same time share awareness about SMA. Same as everyone else on here I did not know about this test and once we get the go ahead we do plan on trying for what we are calling our fourth and final baby I will talk to my OBGYN about SMA. I will defiantly share about you and SMA to as many people as possible and already have been sharing with my husband. I read in one of the followers post about postcards from all 50 states to be put on your bucket list, well I live in Michigan and tomorrow I am going out and buying an aswesome post card and mailing it out to you so watch for something from your new friends in Michigan. I will check in every day and I will also stalk Ellen for you like your daddy stalked your mommy till Ellen calls you, but honestly I just looked at your ticker and you are at 807700+ so I do not think it will take much more before your mommy and daddy gets LOTS of phone calls. I think you are offically virual on the internet now! I will be checking in and I will keep on posting! Lots of love from Josh, Kristina, Joshua, Avarie, and Jamison Hammond. Your plight has made me cry while I thought of my daughter Victoria who was still born at full term and I think it is great that you have such loving parents and that you get to spend what precious little time with them that you may have left with us. You are an inspiration to all of us. My daughter would have been 13 now and I know that when you do finally move to heaven my daughter will be there waiting for you with open arms a smile on her lips and love in her heart. We All Love You Very Much and Wish You the BEST of luck in all you WILL DO in your Beautiful life. Hi Avery. I have SMA too, and am now 15. I wanted to say thanks for bringing this awareness to SMA. You are so inspiring, as well as your parents' positive attitude. I'll definitely be praying for you - that you will get to tick off everything on your bucket list, and so much more. May God bless you and your family always. What a sweetheart you have! Thank you for writing this blog to share your daughters life and her impact and blessing on the world. I have a question about the testing. Are you saying that testing should be done at the beginning of the pregnancy or are you advocating that both parents should be tested before pregnancy is achieved? If both parents test positive as carriers...then what? Can the baby be tested in utero? Then what? How would have testing changed things for you and your wife? Thank you for sharing the way you are. Hey Miss Avery! I wanted to tell you that I think your bucket list is great. Looks as if you are a very busy girl. While spending the past hour reading/watching your story something came to me. First of all ask mam & dad to tell you the story of The Wizard of Oz. Then ask them to get the cd from the musical WICKED (about the witch of the west). On that cd there is a song called "Becasue I Knew You". The song says people come into our lives for a reason bringing something we MUST learn, and in retrun we should help them.That by knowing you I have been changed for good. I can't think of a single song which most describes you, your mom & dad. You are bringing so much awareness to so many people and they in turn can help you. Having been in the medical field for 20 years, I have to say you are one strong girl. Watching you and your family together & all the great things you get to do. You are so alert and I have to say that you have definately changed 3 lives in this house for good tonight. Through your story, we can all help you by continuing to look for a cure or way to prevent this. We can inform our own phyicians too, so they can pass it on to expecting parents. We can donate our time & our money to help you help others. My kids are teens now and I have to say how I enjoyed watching you. It has been a long time since I have been around babies. You have the most beautiful face & smile, it made me smile too, so I guess I borrowed one of yours tonight, Thank You! I wanted to also tell you that you have exceptional parents! What a lucky girl you are & what lucky parents to have such a beautiful girl. Another blogger had written that she had kids or realatives who had diseases that they beat down & they are now teens. Not to give up because there is always a miracle! I believe that, and we are sending out all our prayers for you, that you may prove to have one more miracle...the gift of time. You are already a miracle. Please thank mom & dad for putting this out there. We will pass your story & donate what we can for your casue. I will write to Ellen from now until the 1st as much as possible. I want you to know by coming into MY life, I have changed for good! God Bless....We will be following you through your journey. I just read your story and you have no idea how much it has touched my heart. I recently had a little girl she's 7 months right now and honestly I can't even begin to imagine what your mommy and daddy are going through. Your a beautiful little girl.. From the bottom of my heart I'm hoping for a miracle for you. I'm praying to God for you... My heart and prayers go out to you and your family. Avery, thank you for sharing your stories. Stay strong and keep on fighting!!! Hi Avery! I learned of your story tonight on Pinterest. You sure are a BEAUTIFUL little girl and I love your smiles! It just so happens that my girls and I, who are 3 months and 4.5 years, are participating in our local March for Babies walk tomorrow morning. We will carry you in our hearts as we walk those 6.2 miles! And afterwards we'll send you a picture of our smiles to add to your collection :) Thank you for your inspiring story. Keep smiling that beautiful smile. @-'--,-- here is a flower for you!! Oh sweet Avery, I'm happy to hear you are crossing things off your bucket list. I'm continually reminded our birth certificate isn't stamped with a date of expiration, but while we don't know how many days we have, it is important to take advantage of all of them with a positive attitude. And, sweet Avery you and your parents certainly have the best attitude ever. I will do my best to help raise awareness and money for Fight SMA as I've been inspired. While you may view you had a bad hair day, I hope that at somepoint you have a chance to enjoy the teenage rebellion days and do some "spiking" of your hair (maybe with hair gel). While I don't encourage rebellion, it just seems like part of life. Big hug to you and your parents, along with positive thoughts & prayers. Keep knocking off those things on your bucket list and waking up smiling. Avery, you are a very beautiful and special little girl. Your mommy and daddy are very blessed to have you in their lives. I heard about you on Yahoo and your story touched me deeply. I pray that you are able to accomplish a super long list of things. I can't wait to see more pictures! I'm linking your blog on my Facebook and asking all of my friends to write Ellen for you. Bless you baby girl!!! Hello, precious one. You are so lucky to have such amazing parents how love you so much. Of course, they are beyond lucky to be sharing your time here with you. I just wanted to tell you how wonderful (and effective) your blog is. I have 2 daughters and we love reading about your adventures! In our family, there is a tradition that the youngest child always places the star on the top of the Christmas tree. Maybe you could put that on your bucket list. Remember, God made you His own special star; so you can shine His light to the world. Keep shining, Avery! We will be praying for you. I just saw your story tonight Avery, you are a beautiful little girl. I did not know what SMA was before you, but I do now, and plan to tell everyone I know about this condition, and hope a cure is found soon. I have been reading your blog and am so impressed with your demeanor and attitude, I hope you get the chance to fullfill everything on your bucket list, even the last item. :) I will be keeping you in my thoughts, and you have been an inspiration to so many people around the world, we all can learn a lot from you. ****************************Ideas to add to your bucket list!!! Be able to read "your own" blog story from the beginning! Also, learn baby sign language through something like "My Smart Hands". Also, curious to know about Mommy and Daddy....have they both taken a leave of absence from work to spend as much time with Avery as possible or do we just not hear about work???? Thanks for sharing your story! I told Ellen to check you out!!! Many Blessings to you and to your parents! There's so much Love here. Hey Avery! 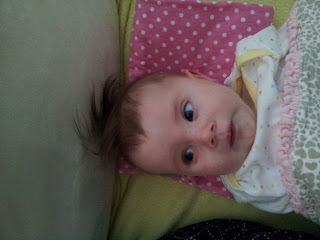 You remind me of my 15 Month old daughter who has bad hair days that look IDENTICAL to yours! Haha =) Stay strong baby girl!! Avery, I have a 5 month old son who would love to date you! He hasn't tried cupcakes or blow pops yet, but I'm SOOO glad that your awesome mommy and daddy have let you experience these things. You have very strong, amazing parents. I can't imagine going through what they have. I am praying for a miracle for you, but I know the worst case scenerio will result in you being the most beautiful angel ever. God bless, beautiful baby! You're such a cute and adorable little girl! I'm so sorry you have to be going through all this. I will pray for you and your family every day. I just read your story on Yahoo and was so impressed by your mom and dad. We have eight kids, seven boys and a girl. Our littlest in 17 months old and our oldest, our daughter, is 18. All I can say is that we are all praying for you. I am sure you're an amazing blessing to your parents, and you are making more of an impact on this world than most people ever will. God bless you, you are going to be in our prayers every day, and you're going to remind us to make every minute count. Avery you are beautiful. i want you to know that my heart and prayers are with you. and what a lucky girl you are to have such amazing parents. keep on scratchin off the bucket list. AWL. Just read about you, Avery on Yahoo News! After I cried some tears for you and your family, and said some prayers I thought I would come see your adorable self myself. Blessings to you all as you deal with what my heart and soul cannot even imagine. May you be graced with strength when you think there's none left. May you be comforted knowing there are strangers who care - and I wish you the very best in spreading awareness. You are a beautiful family and I am so so sorry this has happened. Avery, you are a beauty, you sweet tiny tot! I hope the sun shines for you tomorrow. You are very beautiful. I bet you make your mommy and daddy smile a lot. I wish I could have been there to see your muscular firemen. Keep those eyes smilin. God bless. GOD BLESS YOU, BEAUTIFUL BABY GIRL .. YOU WILL REMAIN IN MY THOUGHTS AND PRAYERS .. I remember the first couple of months of the big SMA diagnosis all to well. Uh, those were days filled with anger and crying and sadness. I would hate to be where you guys are at again, I'm sorry. No one should ever have to be told their child is going to die. 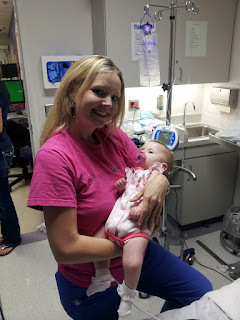 My daughter was five months when she was diagnosed. There is a lot to take in and as others have said there are plenty of pro active treatments such as bipap and cough assist. My little girl was a champ and always had a smile on her face, doctors visits and treatments were just a part of her life but to be honest she didn't know any different and we always tried to make them fun.. My daughter passed away last year two months shy of her 4th Birthday. We got to hear her talk and laugh and tell us she loved us and this was after they had told us she probably wouldn't make it to two. So what I'm trying to say is don't count yourselves out yet, doctors aren't always right and there are a ton of SMA kids that are living much longer now, I really hope that Avery is one of them! If you ever need anyone to talk to about the ins and outs I would be happy to help! I also wanted to let you know about a couple other charities strictly for SMA. They are both funding great research. One is The Gwendolyn strong foundation and the other is Sophia's cure foundation. Seriously if you have any questions or just need someone to talk to, to get through the black fog that is being newly diagnosed with SMA, I am only a click away. All my prayer goes out to you. May God bless you and your parents always. It's great to read your story I have 3 boys and two had SMA type 1. It's neat to see the wonderful way you are letting others know about SMA. You are such a cute girl. You are not only teaching the world about SMA but about life, love, the bonds we hold with each other and soooo much more. I love watching that page counter go up and up and up... You are AMAZING little one! You in such a short time have done more than most people can do in a lifetime. We love you Avery! Dear Avery, I will pray to Sri Sathya Sai Baba for you. O Avery, you can cross "provide inspiration beyond my years, beyond my days" off your list :) You are so precious! I have read Avery’s story on Yahoo and I do wish you and Avery well. Have you consulted a Chiropractor for her SMA. I have heard some pretty incredible stories of people getting well after having Chiropractic treatments from debilitating conditions. Even newborn babies can benefit from Chiropractic adjustment when they are pulled out of the womb. 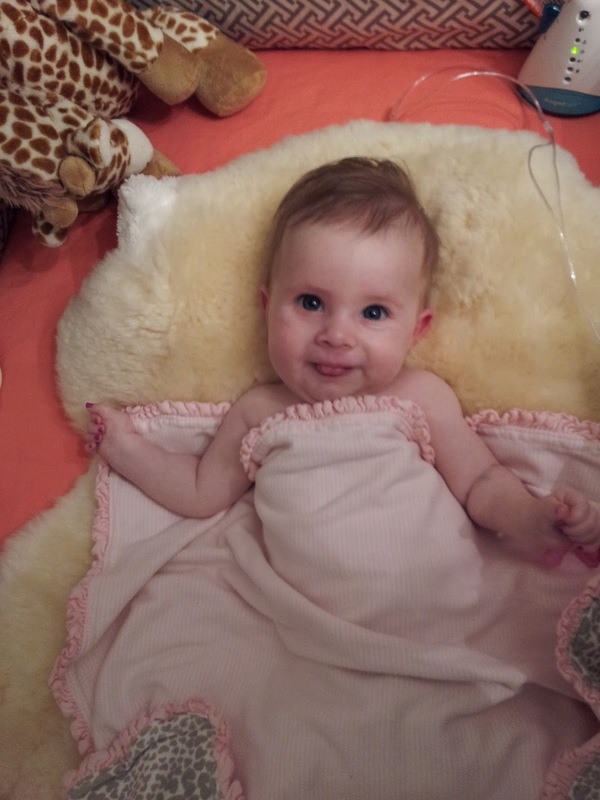 I know that you are doing all you can for Avery and I hope that you would bring her to a Chiropractor for a visit. May God Bless you. As I read your blog and the wishes you've completed on your bucket list, i find myself grinning from ear to ear. To take this heart wrenching outcome and turn it right on its ear is a well-deserved kudos to your loving, devoted parents. You cling to that list, Avery. Don't let go until you can't hold on anymore. Cling, precious , precious angel and if all these prayers bring that miracle to your doorstep--reach out and grab it with all your might, Be well, sweet darling. Hi avery my name is sharmain but u can call me auntie sharmain. I'm in tears reading your blog, and watching your video. You're so adorable, i'm sure your mommy & daddy gives u tons of hugs & kissessssssss everyday. By the way my daughter, she's 11 month old,her name is Isabella Mulan, she said hi and she wants u to know that our family will pray for u. Thank u for making us aware of this rare disease SMA. God Bless you and your family everyday avery...love love love!!! I'm a mom to two special needs kiddos in Texas. If you ever need information, resources, that are available to you, especially in TX, please have your daddy or mommy send me a message. It would be my honor to help in any way I can. Neither of my little boys have SMA, but I do understand some of the tough choices your parents have had to make for you. My oldest had the Nissen Fundoplication and Gtube surgery done, and I remember how scary that was as a parent. Avery, if you are anything like my son, you handled it like a trooper. I promise you have already changed how your friends and family think about the world. The little things matter. If you can, look up Peaceable Kingdom, and Morgan's Wonderland. They are two wonderful places for special families in Texas. Keep smiling, little one! Dear Avery, I just read your entire blog in one go. I think you're a very wonderful little girl for being able to smile in the midst of all your trials, and your parents are also beautiful people to help you with your bucket list. Though I'm all the way in Malaysia, I feel like I know you already. I am praying for you and your family, and I have shared your story on Facebook and on my blog: http://phoenixlives95.blogspot.com/2012/04/averys-bucket-list.html. Even though as far as I know, no one's visited my blog, I hope they will, and I hope they see that post. And I have an idea for your bucket list! Ask Mommy and Daddy to let you watch a movie in the cinema with your friends. Nothing beats that. I love you so much, you sweet baby! Our son, Nicholas, turns four next month and also has SMA. Avery, your mommy and daddy are taking great care if you and you have already had so many fun adventures! We will continue to read your blog and prayers are with you. We have a blog too if you want to check it out: www.familywithgusto.blogspot.com. I shared your blog on Facebook today and so many people posted how cute you are. I totally agree!! He who gives us sorrows gives us the Strength to bear them. May He Bless You and Your Child. I have a rare form of muscular dystrophy that wasn't properly diagnosed until I had two children and one was born with it. I cannot imagine life without her and can say even if I had known she was going to have this I would've had her anyway! Can you honestly say if you had known you would've terminated? Then you wouldn't be able to have the love of this beautiful girl. (BTW I am NOT a pro-lifer whose against abortion) Everyday we have with our children is a gift, because none of us knows how long that actually will be....on our end or theirs. Cherish every minute with this girl, get off your computer, off the airwaves and enjoy her. By the way your describing her poor outcome you'll have plenty of time to milk the media later. Avery, after reading all of your wonderful blog posts I feel as if I have come to know and love you. You are a beautiful, strong, amazing little girl and are such a blessing to this world. You have the best parents ever. Just by reading your posts and looking at your pictures and videos, I can tell they love you more than the sun and the moon combined. Thank you for sharing you story with us. Stay strong and God bless. I read about you on yahoo before signing onto my mail. Your story touched my heart. I wish you get to live life as fully as possible in the short time you have here. I believe you are here for a reason. To spread awareness to people who don't know about your disease and to spread happiness to those who love you. I can tell from reading your blog that you have been blessed with wonderful parents. I applaud their strenght! Tonight while I was at work (oddly a slow night for Friday night) I stumbled upon your blog and I must say I sat here and read everything you have posted so far. I have smiled, laughed and cried with you while reading your adventure. You have touch me like many others. You are a true inspiration. Miss Avery a note to your strong parents: Thank you! Thank you for helping sweet Avery with this blog and thank you for being so strong and showing people no matter what; live life to the fullest. I look forward to following your blog Miss Avery. Keep posting, I love the pictures you have a truely beautiful smile sweetie! I do not know you folks but I want to say god has told me he is going to heal your baby.He wants you to go to your baby and lay hands on her back and pray,in jesus name we pray.I know it sounds far fetched but I was reading the story and heard gods voice.He has told me several other things before,one was where my pastor was going to have to build another church from the revival thats coming and a lady in the congregation who ive never met before said she had a dream about the same exact thing.So please head gods word pray and go to the doc and get a second opinion in jesus name amen. We are all praying for you little Avery. We love you and wish you a life full of happiness. Aloha, I'm so moved by your blog that I made a donation on your behalf.Take care sweety. Good morning Avery! You just made my family's weekend energized. Your smile and your spirit, going through this ordeal is such an inspiration. Like many of your followers, I have not heard of SMA until now. What a horrible disease! But reading through the responses, it looks like miracles happen every now and then. I was raised religious, went through a phase of not believing, but I now truly believes in miracles and the power of prayer. A lot of people are and will be praying for you. Don't give up hope! 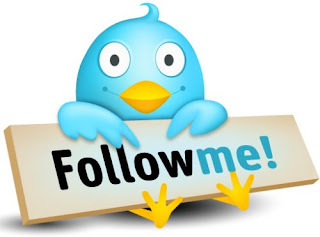 Will be following your blog and wish that you will experience it TO THE VERY END of your list! Love, Hugs and Kisses from Niagara Falls, Canada. Hello I'm new to your blog. My daughter was born with Congenital Diaphragmatic Hernia. I've been through the g-tube and the feedings. If you ever need any help I'm here. Praying for Avery and your entire family. I saw your blog for the first time today. What an incredible adventure you are sharing. Stay strong and keep fighting. Find comfort and hope in the Bible's promises. Remember that God is always listening and there to help you. Psalm 54:2, 4 says, "O God, hear my prayer; Do give ear to the sayings of my mouth...Look! God is my helper...."
Avery! Have you checked out how many views you have gotten? Way to go sweetie! What you guys are doing is awesome and Avery is a true Rock Star! I am inspired and I appreciate you taking the time to share your story. I will pray for that god blesses Avery and the both of you. Hello Miss Avery! Your so very precious in every which way! I love that courageous smile of yours. This journey of yours is amazing and together we will BEAT this awful disease! One day you will get to meet my very own angel, her name is Addison Bella and she's with us in our hearts and spirits now. She was born with SMA type 1 in 2007. Keep smiling sunshine and god bless your parents. hello baby girl, i'm praying for you GOD can do anything. your so cute i love your voice, you have my middle name my name is lori and i have 3 daughters heather almost 31, courtney 21, and breanna 18 and 5 grandkids,i see you enjoy watching a kite. have you ever watched ernest angley he is a preacher, i've seen god work through him to heal others.i hope you can go see him have him pray for you. look him up on line.hugs and kisses for you baby doll.. I just read your story on Yahoo news and immediately visited your blog. I was so touched--cried and smiled while reading your successes. I love cupcakes--red velvet with butter cream frosting. I also love Ellen. She is amazing. The best, humble, down to earth, caring individual in Hollywood. We both trust her to do just. Avery, you are amazing. You are a true Angel, and I am honored to have met you and that you have allowed me to contact you. I would love to continue communicating with you. You see...I am a high school Principal and I am taking your story to our school. You have officially become a member of our high school family. Your graduation is June 25th, 2012 @ 5:00 p.m. I hope that you can participate via Skype. I would like your mom and dad to be guest speakers. Also, your Prom is May 24th, 2012. Let me know if you will be attending. If so, the theme is 1960s Hollywood--I look forward to seeing you in a nice gown. Please email me at au9239@gmail.com to coordinate your attendance to the Prom and Graduation! Congratulations on one million views! Avery is a beautiful girl, and her smile is contagious! The video of her talking to the stick is so funny and adorable! The blog is so well-written, and along with teaching me, has made me laugh and cry - frequently at the same time. I hugged my kids a little tighter last night (One of which is a 9-9-9 baby! How cool!). I know you'll fight the good fight, and I pray you'll have peace when you need it. One idea for the bucket list: Visit a state park. Here in Austin, we have natural springs, biiig rocks, and waterfalls. A lot of interesting things to look at! Looks like you can cross "1 million pageviews" off your list! Sweet baby girl... Bless your heart... Lots of Love your way. Smile Mom and Dad... She's such a Blessing. hello, Avery! greeting from Mongolia. i've red your blog all evening and i am really proud of you and your parents. it's wonderful to say your words out to all over the world. Enjoy your trip through the city. stay strong!! i believe that there can be miracle. I found your story through Yahoo. I am in a puddle of tears reading about your sweet baby girl. I plan to pass your blog on to all my family and friends. I have a 1 year old and a 3 year old... they are both healthy, but I have a new resolve to live each day to the fullest. We should all "live like you were dying". Thank you for that reminder. Our prayers and thoughts are with you. God bless you. This is so touching...Mommy and Daddy are doing a wonderful job of making life fun, sticky, and sweet for you. I God sends healing power, but if he doesn't send it here while you here, you will get it in heaven. Just know little Avery you will be alright either way this turns out, God loves you....forever! I'm sharing your story because you are beautiful, Avery. And so loved. I have a special place in my heart for my nephew who had type 1 SMA. His beauty, smile, optimism and vitality gave me a hope, an appreciation I cling to every day. 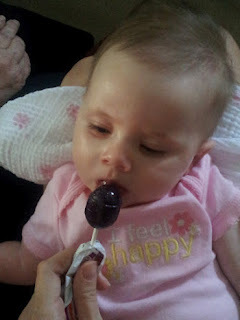 Enjoy those Blow Pops, girl. They're my FAVORITE. Little Miss Avery. Your such a sweet, beautiful baby girl! I am going to be on your page EVERYDAY! And I also dont want to get anyone's hopes up but I have 2 different stories about my family members, where they were told their babies were NOT going to live! I just want to reassure that MIRACLES DO happen! Don jr: He was born really early, he didn't even weigh 1 pound when he was born, just a little 13 ounces. The doctor told my aunt he was NOT going to live, but IF he did, he would basically be a vegtable, no walking, talking or anything. Well he beat the odds. He is now 10 years old, doing great in school, doing sports(nothing to rough because he has stints in his head), he has awards in the sports and his academic classes. He is one smart little guy! Logan: He was born with brain damage,crebal palsy and a few other things.He was not suppose to live that day. Then when he showed them, they said well a couple months, those couple months went by and he was still there. Doctor said not past a year, he made it to 5 I believe! So I just wanted to share the stories so you know miracles do happen! And I will keep believing one will happen for Avery! Shes SO cute and I have faith in you and GOD! I love you beautiful baby girl. I loved you the minute I read the short article on you. Avery, you're such a brave and beautiful little girl. Blessings to you and your parents. You are such an inspiration. Avery, you are one beautiful little girl, and have a great sense of humor to go right along with all that beauty. I found your blog from an article on yahoo news. You have many fans baby girl! I have an 8 month little boy, you reminded me of him while talking to your sponge bob stick. I am praying for you and your parents. Have a wonderful day, I can't wait to read more..keep telling us baby girl. Lots of love. Avery, you are the bravest little girl ever... and you are very lucky to have such loving parents. I hope with all my heart you do get your wish and are on The Ellen Show! Please don't give up! They told my nephew Eryk, who has type 1 SMA as well, that he wouldn't make it past two. On this past Friday we celebrated his eleventh birthday. Don't give way to the disease, fight it! Eryk doesn't move much, but he talks and he eats and it IS possible through intense therapy to rebuild muscle strength and such. He goes to school everyday and plays with his brothers and sisters! Don't give in to the limits on Avery's life that the doctors are giving you! Fight it!! PLEASE parents of Avery....you are new to our SMA family. While we are happy that you are getting the words "Spinal Muscular Atrophy" out there, you are doing a DISSERVICE by also giving misinformation!!!!! There are TONS of research projects going on.....gene therapy clinical trials will begin by the end of 2012....there are plenty of ways to treat your daughter.....SMA is no longer a death sentence!!!!! So, please, please, please....contact one of the "veterans" so that we may provide you with the CORRECT information. God bless you and be with you throughout your adventures. You are remarkable people for staying positive in such a hard time. That baby will know only love in her too-short life. And that is because of you. Stay strong. My prayers and good thoughts will be with you. Ive been a follower from almost day 1. Avery has stolen my heart and I check daily for new updates. God bless you and ur family little princess. Avery, today I read your story and was moved to come here and read about you and your parent's incredible strength. A few minutes ago, I received a post from our local newspaper that a little boy who became an angel on 4/26 after fighting SMA - http://aidenjames.org/ - Coincidence? I don't think so, I think I was meant to read yours and Aiden's story to make me aware. Much love to you and your family - you are an inspiration and a beautiful gift. Avery, my prayers are with you. My wishes for you to strike every item from our bucket list including overcoming your illness. Hats off! to your wonderful parents who are chronicling every little adventure of your life. Keep shining little angel. Hi Avery (mommy & daddy too),I've read your post from the start and I admire your family's strength and ability to keep life lighthearted. You are teaching the world about SMA and your parents are teaching the world about the unfailing love of a parent and the determination & resilience of human spirit! My family will include you, your family and your doctors in our prayers. Through reading your blog I've been reminded not to take one smile, one hug, one 1st anything for granted. That everyday I share w/ my 4 lil ones is truly a gift(even when I want to pull my hair out & cry) Thanks Avery & family for sharing your story. My friend forwarded me your blog because I have lost two sons to SMA. You two are doing a beautiful job of giving your daughter the fullest life. Bravo. I am sending strength to you in my prayer today. And PS, thank you for working so hard to get donations to fight SMA. Good Saturday to you Miss Avery - I am in Ohio and it's raining outside and colder than what we have had lately so I had some "down" time to play on the internet and that's when I saw you! What a beautiful little girl you are too! I am a mother of three beautiful girls too but they are much older now. I miss the days of tea parties and kite flying with them. My oldest just turned 32 and she has a beautiful little man, Ayden. He just turned four and loves to be outdoors like his GiGi. One thing Ayden loves to do and you might enjoy as well is he and I put on plays for all of his stuffed animal friends. When we are finished with our play we take a bow and thank our friends for their wonderful applause and then we go eat cake :) It's a great way to spend indoors on a wet and cold day. Hello Sweet Avery, we posted on your facebook.. not sure if you read those comments. This is Grace's Mommy. Grace is 4. She wants to know if you have ever worn heels? or a tutu or Glitter? :) We love you!! Your web page has over 1 million hits! I pray that you complete everything on your bucket list, and much more. Hey Avery. I am working very hard to try to get you trending on Twitter. I hope that we can get your story out to everyone! Much love and prayers from South Bend, Indiana! I was so inspired by your story and about Avery! I sent in to Ellen another request I also have a friend who works for Harpo Studios and sent him the info to maybe get seen on OWN...I will let you know how it goes but just know you are inspiring people..Avery is inspiring people! Thank you so much for sharing her life and stories with us! Little Avery your a special present given to the world. We are so very grateful your mommy and daddy decided to share you with us. Your a beautiful girl and the universw holds a very very special place for you and your loving and wonderful parents. We LOVE you!! Hello. I noticed in your blog that you are interested in raising $1 million for SMA research and that your Aunt recently held a fundraiser for you. I was really moved by your story and how your parents have chosen to focus on educating the world about SMA. Bravo to them! I am an independent consultant for Scentsy products (a wickless candle warming system. We often do fundraisers for community organizations where the consultant donates their proceeds to the cause. 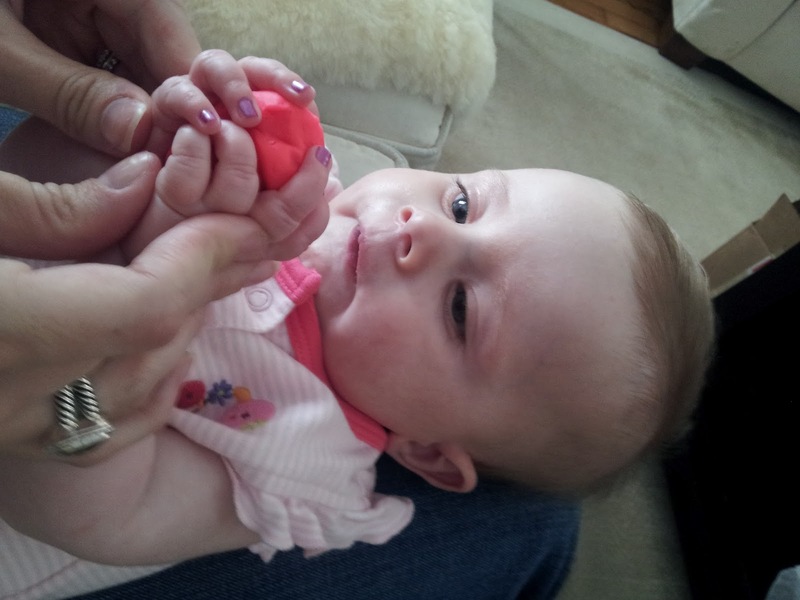 I would love to help out with raising money for SMA research. Check out my website (tracyshadowens.scentsy.com) and let me know when we can move forward to helping you meet your fundraising goal.